【时尚生活】 THP GIVEAWAY WINNER!!!! A stay in One of the 5 STAR Hotel in Town! Well, this is not a scam, no lie, not a single cent charge but ONLY ONE FAVOUR NEED TO BE DONE, which was only by clicking "LIKE" on Tropical Holidays Paradise Tours and Travel Sdn. Bhd. a.k.a. THP's Facebook page. As promised previously, finally the number of "likes" reached 333. For those who want to participate in the GIVEAWAY proposed before, a simple step by clicking "LIKE" will entitled them a chance to be one of the lucky winner! 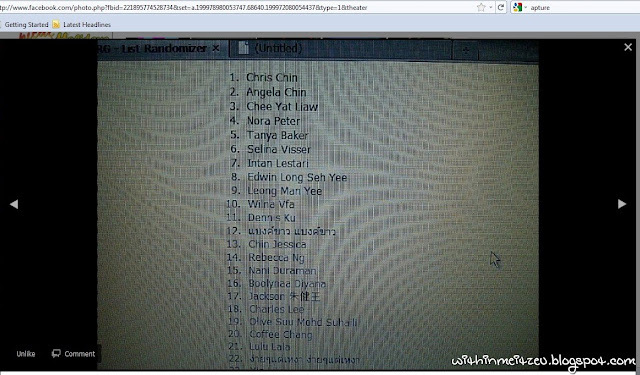 Surprisingly, Mr. Chris Chin who is also one of my Secondary school's friend, randomly won the title of "WINNER" in the giveaway. And the craziest part was when he was in doubt with the AWESOME PRIZES THAT HE HAD WON! Oh my, I know we always heard about the scam happening around, but this one IS NOT A SCAM lar! hahahah :D And neither me, myself as the management trainee or other related person to the Company were not entitle for this awesome giveaway contest or even in the future. :) Therefore, winner win with fair and square. Click HERE to view the exact photograph and the comments in THP's Facebook Page. For those who haven't click "LIKE" yet, please do so (CLICK HERE!) and stay updated with the latest happening in Sabah!! 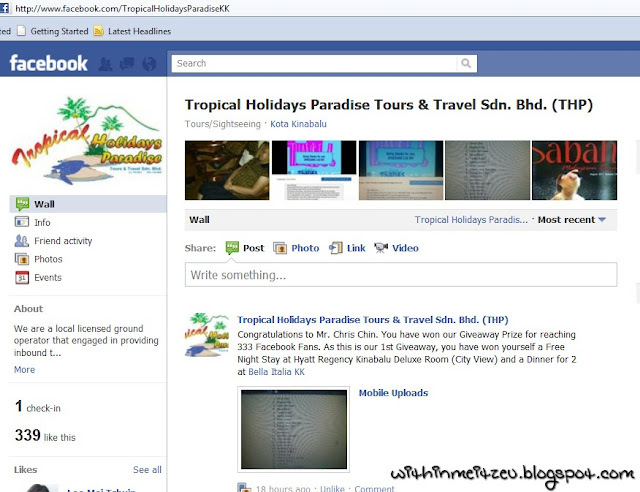 THP Official website : Tropical Holidays Paradise Tours and Travel Sdn. Bhd.